Heel fit is wide and sloppy. Lots of slippage. Outsole groove picks up rocks. The Asics Blur33 2.0 is a good, simple, lightweight neutral trainer that suffers from a tight fit in the toe and heel slippage. 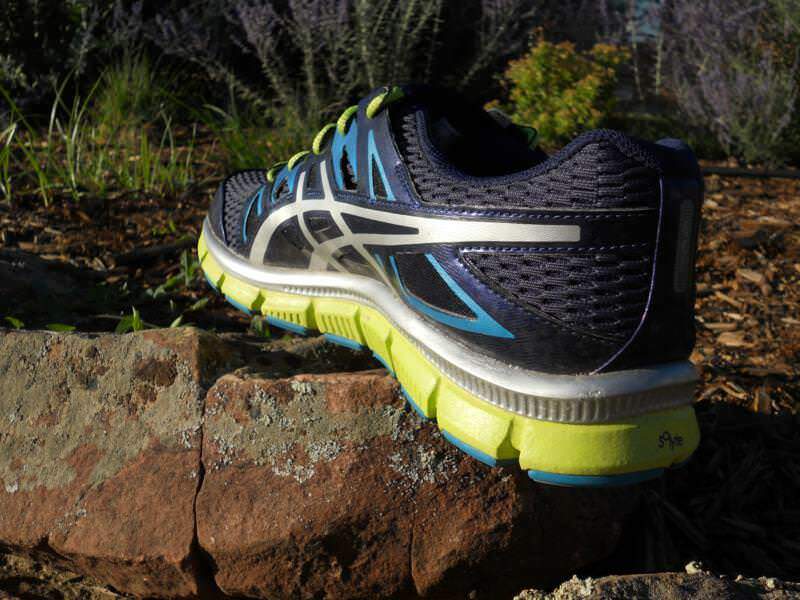 I reviewed the initial release of the Gel Blur 33 back in November of 2011 praising Asics move towards a more flexible midsole and simple, but effective design. At the time I referred to this shoe as pseudo minimalist due to its flexible feel and unencumbered cushioning system. With the second incarnation of the Blur 33 we can expect to see much of the same with a few small fit changes. The upper continues to feel soft and flexible, yet supportive due to Asics use of overlays incorporated into the lacing system. With the last version of this shoe runners complained that they felt a half size too small, and again the Blur 33 fit just a tad bit smaller than the typical Asics sizing. A padded tongue and Mono-sock fit system keep the mid foot in place due to an internal sleeve wrapping around the arch area. However, this fit is undermined by a very sloppy heel fit due to Asics Personal Heel Fit which uses memory to form around the heel as well as an overall wide heel. I consider my heels to be fairly average in width, and I rarely have a problem with heel slippage. 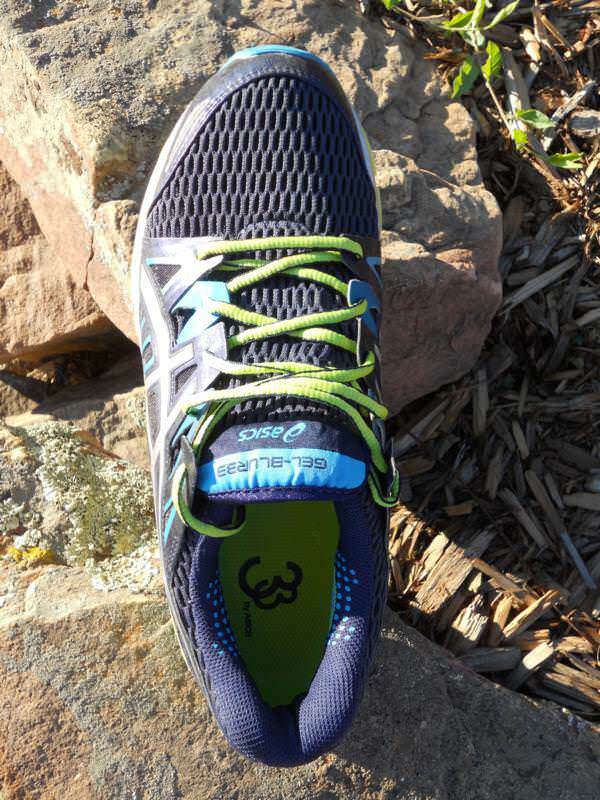 With the Blur 33 I found that my heels continue to slip up and down in the shoe with each stride even after 80 miles. The toe box is wide enough, but again remember to size up one half size. Overall, this is a well made and breathable upper which goes unappreciated due to the poor fit of the heel cup. This is the area that the Blur 33 really shines. Asics uses their Solyte EVA foam which is very light and responsive and more reminiscent of Nike cushioning or New Balances Revlite than the typical feel of an Asics shoe. The Blur 33 is pillowy at first and seems to firm up at higher speeds. 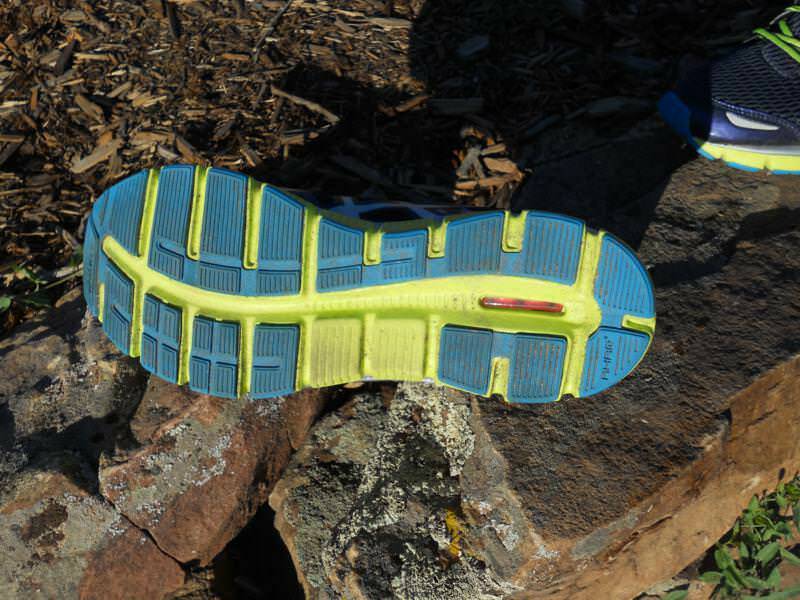 Gel cushioning is placed in the heel of the shoe yet forefoot and mid foot strikers will appreciate that the cushioning feels fairly uniform throughout the shoe due to a 10mm heel differential. Flex grooves are placed in the midsole which makes this shoe very flexible without sacrificing the overall form of the shoe. While the Blur 33 is a neutral shoe without motion control or stability technology some stability is provided due the wide footprint of this shoe. A simple layer of carbon rubber is placed over the Solyte EVA material capitalizing a wonderfully simple design. I haven’t observed any signs of wear on the outsole of my Blue 33s and the AHAR rubber sticks great on wet surfaces. A large groove which runs the length of the outsole has a tendency to pick up fairly large pieces of gravel which proved annoying enough to cause me to stop and remove the offending rock on several occasions. What I continue to appreciate about this shoe is its absolute simplicity. 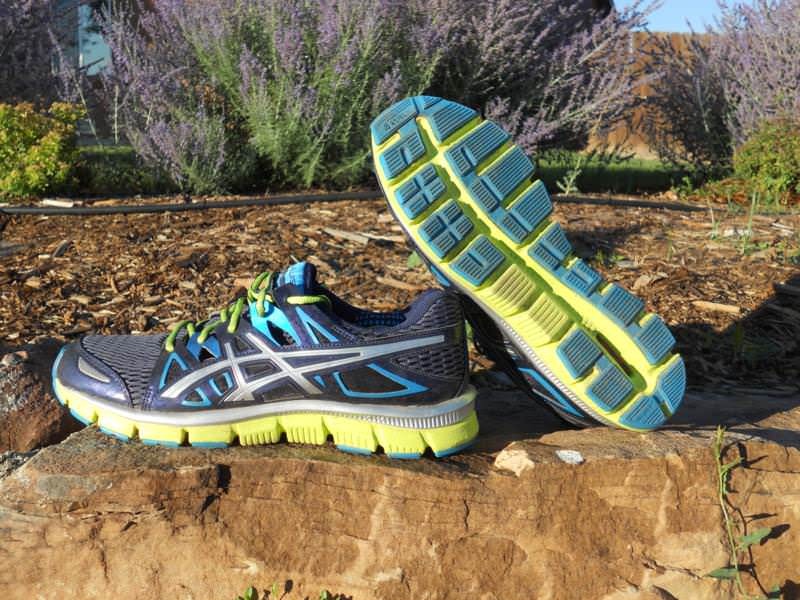 Asics strayed from overbuilt neutral trainers and essentially made what feels like a well cushioned racing flat with the freedom and flexibility that more and more runners are craving. The weight (10.4 oz men’s size 9) feels a bit heavy at times for such a simple shoe but the 33 collection from Asics has plenty of options for a lighter weight trainer. Unfortunately, while there are many positive aspects of this shoe, the entire package is sacrificed by a poor fitting heel which bothered me to no end during training runs. A runner with wide heels may not find this to be a problem, but no combination of lacing strategies and socks could alleviate the heel slippage I experience. Another issue with the fit is that my usual size 9.5 in Asics feels a bit snug in the wide toe box. I have faith that Asics will continue to dial in the fit of this shoe but this second version was a step back from the first. If you are a runner looking for a well cushioned but flexible shoe providing you with a feeling of freedom and simplicity than checking out Asic’s 33 collection may be a great starting point for you. 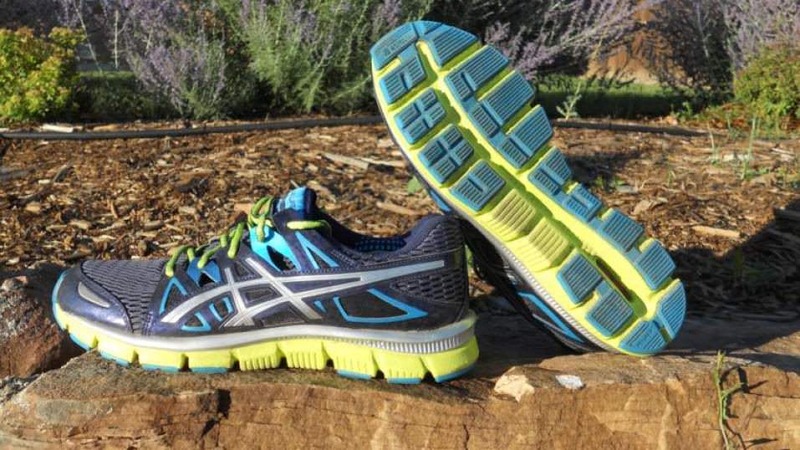 We thank the nice people at Asics for sending us a pair of Gel Blur 33 2.0 to test. This did not influence the outcome of the review, written after running more than 50 miles in them. I loved this shoes, felt great and were very comfortable for my training. I ran mostly track. Looking for a new pair, on the Asics line. 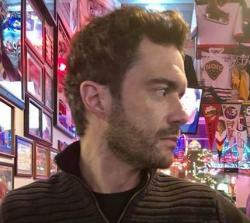 Any good comparisons? I agree that the heel is pretty wide on these shoes. I wore them a while ago and my heel wasn’t slipping and it didn’t bother me, but I did notice that it was a little too big. However, I recently re-purchased them again, and it seems the heel fits fine. They obviously haven’t changed the shoe, but I’ve been running in a pair of Mizunos that have a slightly wide heel, so I’ve probably gotten used to it. Now that the heel does not bother me anymore, I love these shoes! They are wonderfully flexible and work for all kinds of training runs.